The investigation Committee of Russia opened a criminal case against the Governor of the Kirov region Nikita Belykh on the fact of receiving a bribe for a total amount of €400 thousand from the owners of Novovyatsky ski mill JSC and Forest management company LLC for “general patronage and connivance in the control over implementation of investment projects”. Belykh was detained on 24 June in Moscow when receiving part of a bribe from the owner of Novovyatsky ski mill Yury Sudheimer, and then taken to the Committee for investigation. The next day he was charged with receiving a bribe in large size, and the Basmanny court arrested the governor until the end of August. As reported by a source of Interfax news agency, familiar with the situation, the testimony against the governor of the Kirov region was given by a former member of the Board of Directors of Novovyatsky ski mill Albert Laritsky and the current owner of the company Yuri Sudheimer. It was Sudheimer who addressed the official bodies with the statement, after which the investigative experiment was organized: the governor received bills marked with special chemical solution. Laritsky at the moment is under investigation too: he was detained in the summer of 2015 on charges of embezzlement of credits allocated to Novovyatsky ski mill. A source of Znak.com close to the leadership of the region puts forward the version of business conflict or the conflict with the security forces in the region, which resulted in the arrest of the governor. The Investigation Committee said that “corruption-related crimes do not have political colour” in response to possible criticism from opposition politicians (Belykh was in SPS opposition party; for some time famous opposition leader Alexei Navalny was his advisor). “I think that gentlemen Khoroshavin and Gaiser can confirm this statement”, said the head of Investigation CommitteeVladimir Markin in a release. In 2015, two governors loyal to the federal authorities, Sakhalin’s Alexander Khoroshavin and Komi’s Vyacheslav Gaiser, were arrested with the same charges with criminal cases initiated against them. According to WhatWood agency, the investment project of Novovyatsky ski mill worth 1.13 billion rubles was included in the priority list on March 5, 2010 and provided for the production of parquet boards, skis, furniture board, bent-glued products and OSB panels. In fact, its deadlines were delayed, like many in the list, and only the production of OSB opened in July 2012. This was the second factory in Russia (after Vladimir-based factory Hillman) that started the production of this kind of panels. The factory is equipped with European used machinery for the production of particleboard, reorientated for manufacturing OSB. In 2015, the mill produced 60 thousand m3 of OSB, with its rated capacity being 130 thousand m3. The company’s product range includes plates of E1 emission class, 2500×1850 and 1850×1220 formats, width of 6, 9, 12, 18 mm. Raw materials are birch and aspen pulpwood. In September 2013, the German company Sudheimer Car Technik-Vertriebs GmbH (producer of lubricant materials), belonging to the native of the Soviet Union Yuri Sudheimer, became the new owner of Novovyatsky ski mill. Later, the regional authorities have agreed to modify the terms of the priority investment project, despite its lagging. “We saw that there was no reason to wait until the end of 2014 (…) The owner of the plant presented the concept of investing additional 5.8 billion rubles, and the period of implementation of the new project has been extended until 2020,” explained then the head of the regional department of industrial development Sergey Vandyshev. The factory also decided to abandon unprofitable production of skis, flooring and furniture panels. In 2015, the financial condition of the plant was assessed as unstable, it did not pay under the credit agreement raised under the pledge of state property. In this regard, the criminal case was brought against Albert Laritsky. Along with that, according to the information of Federal Forestry Agency available to WhatWood, by January 1, 2016 the investment plan of the mill’s priority project was met by 162%. Forest management company LLC (company’s co-owner is again Sudheimer) planned to start production of lumber, housing construction parts and house kits. On 26 December 2011, the investment project was included in the priority list. The investment scope amounted to 352 million rubles, while the deadline was set up to 2016. However, the project was removed from the list in 2015. 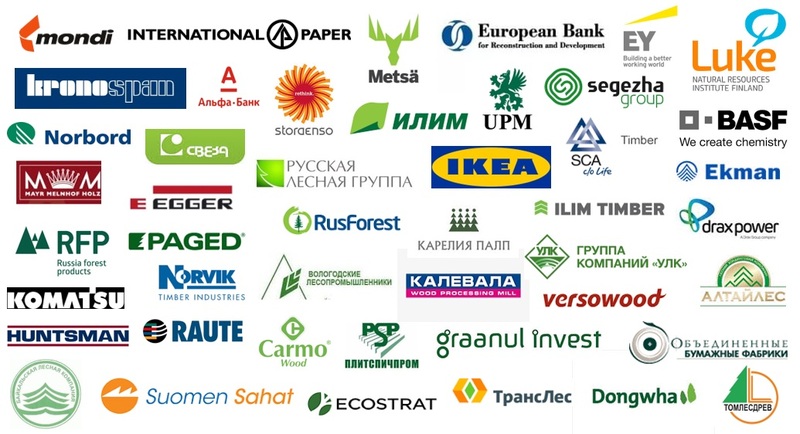 NB: OSB panels are produced in Russia since 2012, the market now has five players, including large factories DOK Kalevala (Karelia) and Kronospan-Yegoryevsk (Moscow region). Apparent consumption of OSB in Russia in 2015 was estimated at 1.2 million m3 or 20-22 billion rubles in value terms. The Russian OSB market is growing quite dynamically. The appearance of own capacities and favourable exchange rates have resulted in the fact that domestic OSB mills together with the Belarusian Kronospan-Mogilev have almost completely replaced imports. Find the detailed description of the production capacities and investment projects of Novovyatsky ski mill JSC and Forest management company LLC in #12-2016 of Russian Timber Journal, an analytical publication issued by WhatWood agency.